The governor responds to a bill, likely headed for his desk, that would add the miniature liquor bottles to the state's bottle deposit bill to reduce littering. AUGUSTA — Gov. Paul LePage vowed Tuesday to veto a bipartisan bill that would impose a 5-cent deposit on miniature liquor bottles, and threatened to end sales of the popular “nips” in Maine. LePage accused lawmakers of passing a bill to reduce litter without considering its administrative costs or possible effects on companies that do business in Maine. Facing a potential legislative override of his veto, the governor also said his administration would – in the event of the bill’s passage – immediately begin the process of “delisting” nips bottles from the state’s authorized liquor products, removing a product that accounts for a growing share of spirits sales and a growing litter problem. The bill faces more votes in both the House and Senate. Both chambers endorsed the bill by veto-proof margins during initial voting. 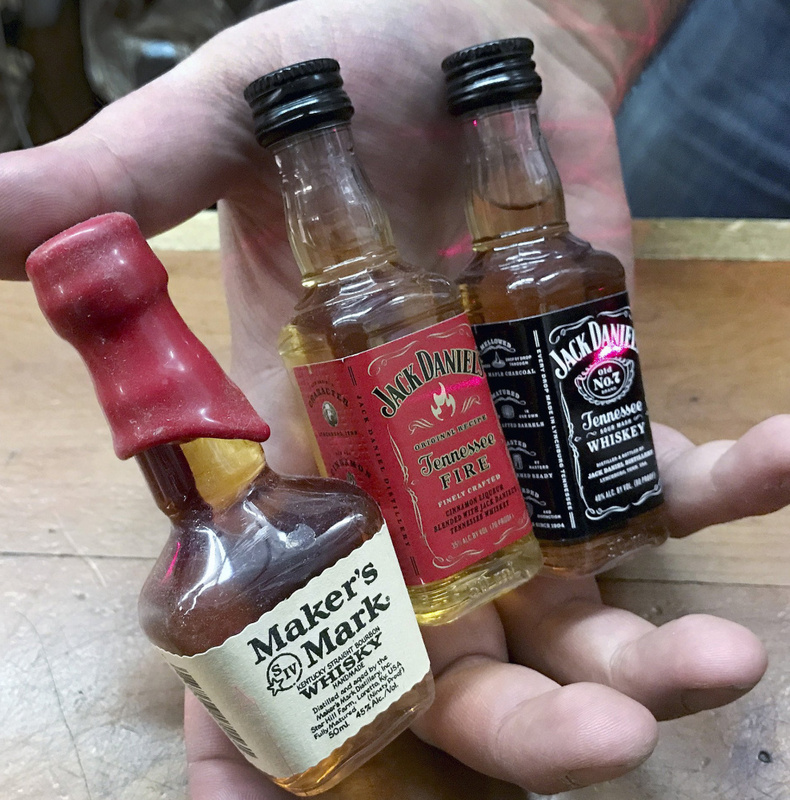 Popular miniature bottles of liquor, ‘nips,’ are piling up on Maine roadsides, but a push to impose a 5-cent deposit on them is running into opposition from Gov. LePage. The governor also called out the bill’s sponsor, Republican Sen. Tom Saviello of Wilton, who has clashed with the governor in the past and who co-chairs the Legislature’s Environment and Natural Resources Committee. In the fiscal year that ended June 30, 2016, the Maine Bureau of Alcoholic Beverages and Lottery Operations sold an estimated 8.4 million nips bottles to agency liquor stores. That figure is expected to surpass 12 million bottles this fiscal year. Backers of the bill now under consideration, L.D. 56, contend that untold numbers of those bottles are causing litter problems as buyers toss the single-serve bottles onto roadsides or along the curb. Just one brand of liquor, the cinnamon-flavored whiskey product called Fireball, accounted for 42 percent of nips sales in Maine last fiscal year, according to the bureau’s figures. Fireball is produced by Louisiana-based Sazerac, which has a bottling plant in Lewiston that employs an estimated 120 workers. Lawmakers have said that delaying the implementation date until 2019 should allow many companies to incorporate the 5-cent deposit notice into their labels, thereby reducing the costs in Maine. LePage appeared to be responding to comments that Saviello made Tuesday during brief remarks on the Senate floor. Saviello, in turn, alluded to threats by LePage to work to remove nips from Maine stores if the bill passed. Saviello said Tuesday night that any costs from the bottle deposit bill would come from the state’s dedicated fund that receives revenues from liquor sales, not from the General Fund, which finances state government. And that liquor fund, Saviello added, would take a financial hit if LePage were to remove nips from store shelves, because of the lost revenue.